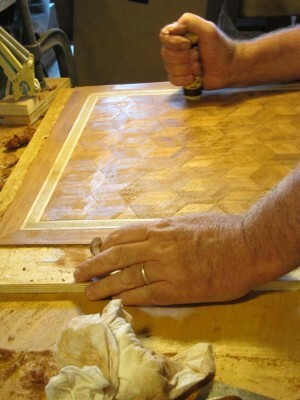 The day began with the excitement of seeing the glued-up panels. 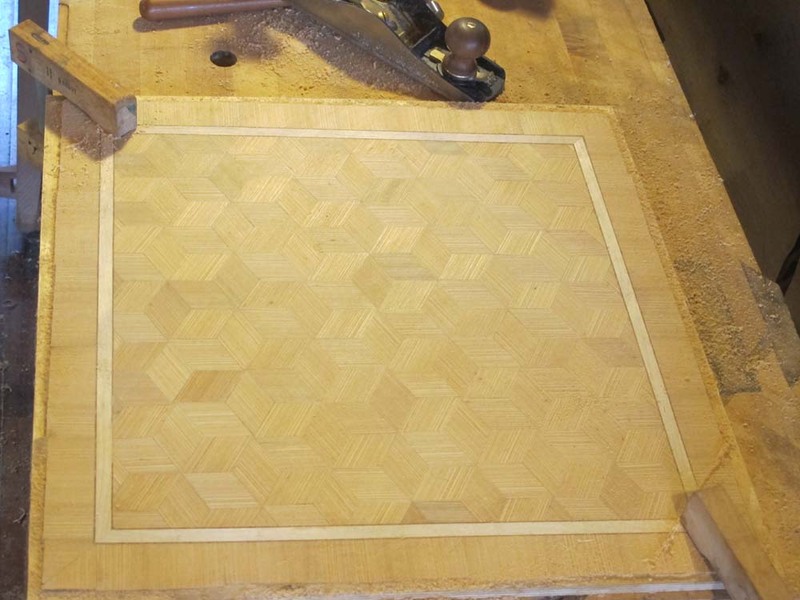 We had slightly oversized 1/2 baltic birch plywood for each of the panels so that they could be trimmed precisely to size one the project is complete. 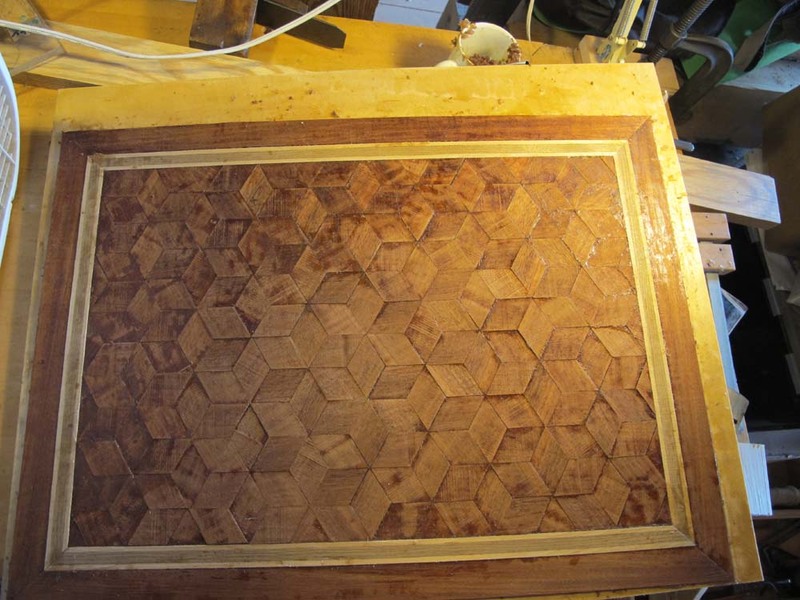 The first step to getting finished from this point was to moisten and peel off the kraft paper that served as the support for the assembling of the pattern, banding, and border. It was a delicate balancing act, moistening the surface enough to remove the glued-down paper, but not so wet as to lift the veneers. 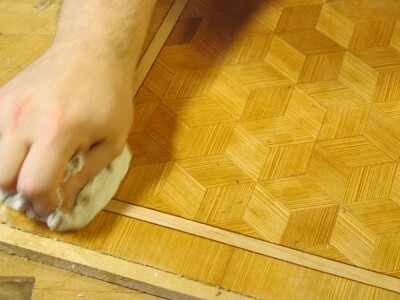 Once the paper is removed begins the tiresome task of dampening and scraping off all the glue left behind. 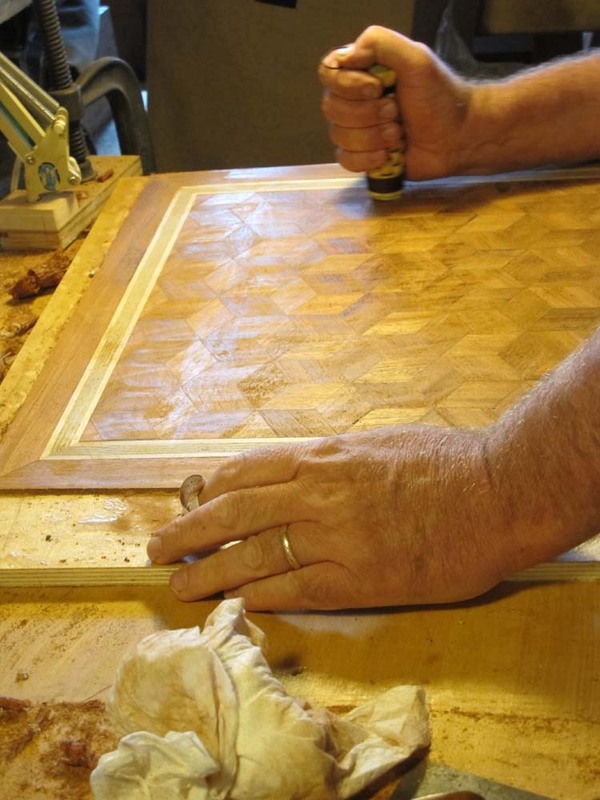 A quick stint on front of the fan to dry them, and then we brought out the toothing planes, scrapers, and small planes to get everything flat and smooth. and the floor indicated we were making great progress. 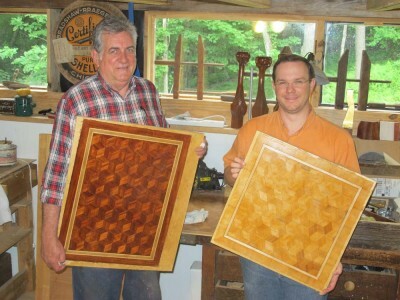 but these guys were working so efficiently we made it all the way through a finished project by the time they left. 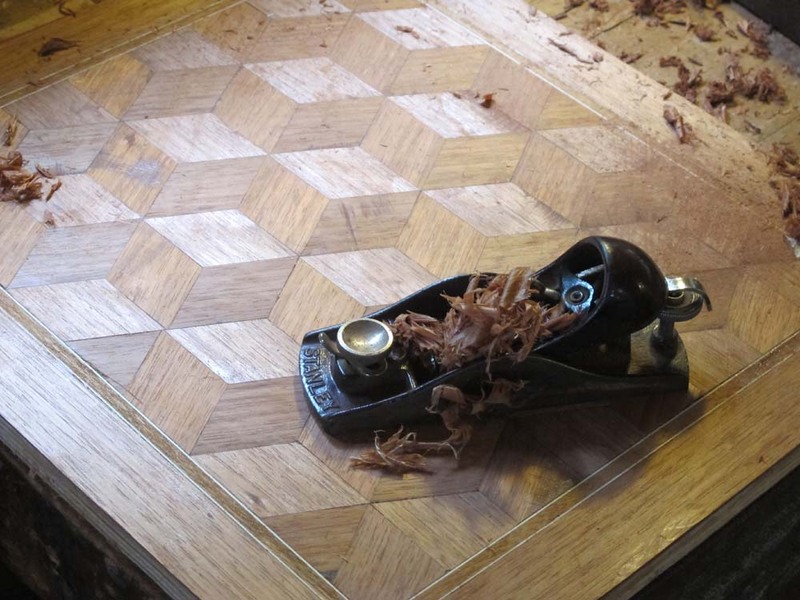 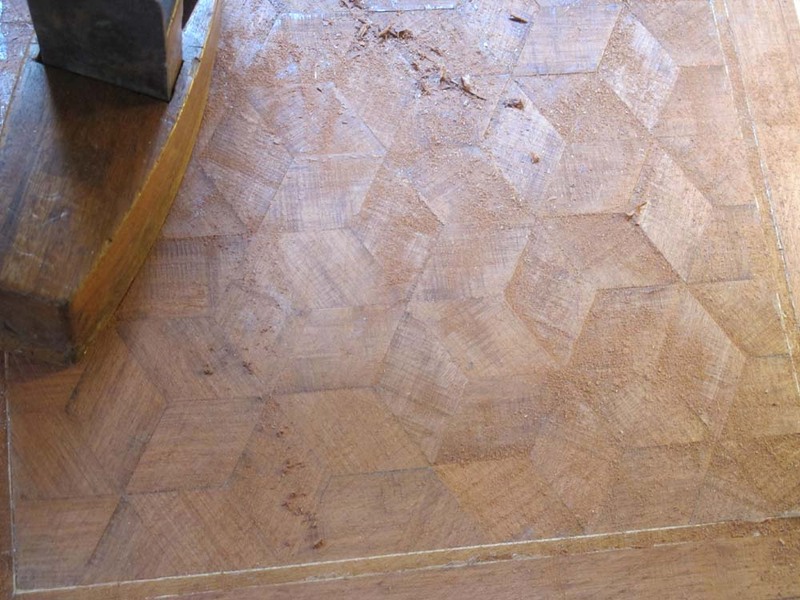 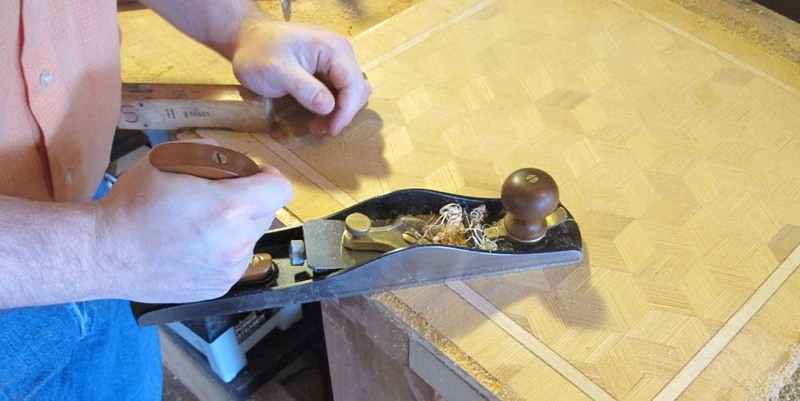 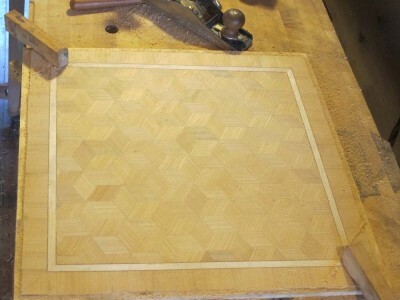 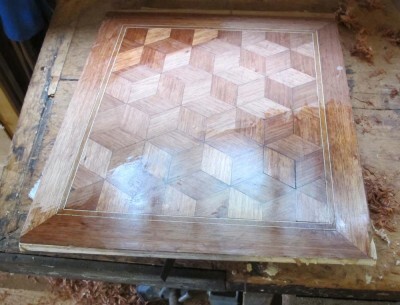 Using one of my panels, I demonstrated the simplest finishing approach to the parquetry, and they charged ahead. 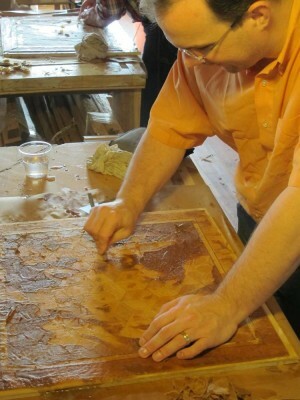 and then the molten wax treatment for the final finish. 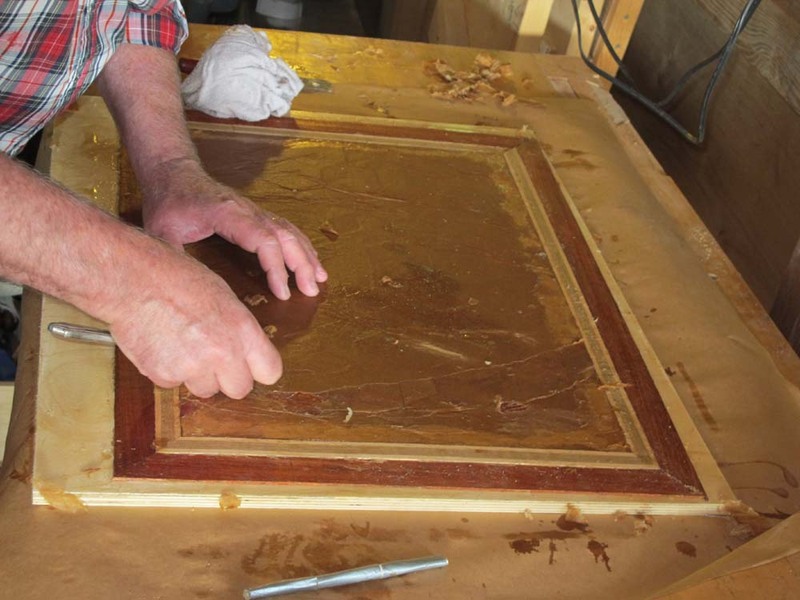 The wax was first dripped on the surface, then trowelled around with the tacking iron. Again it was important to use the iron delicately to melt the wax enough to impregnate the surface, but not to heat the surface enough to lift the veneer. 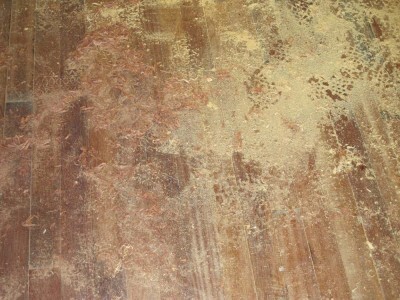 and the remaining surface was buffed with a linen rag. 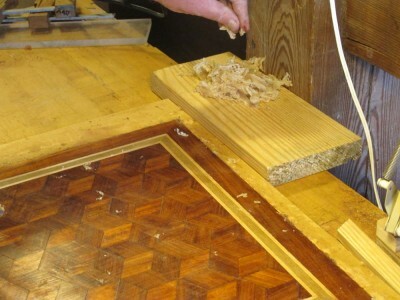 The results were eye popping, and demonstrated what can be done with very little wood in a short while. If you snoozed on this one, you loozed. 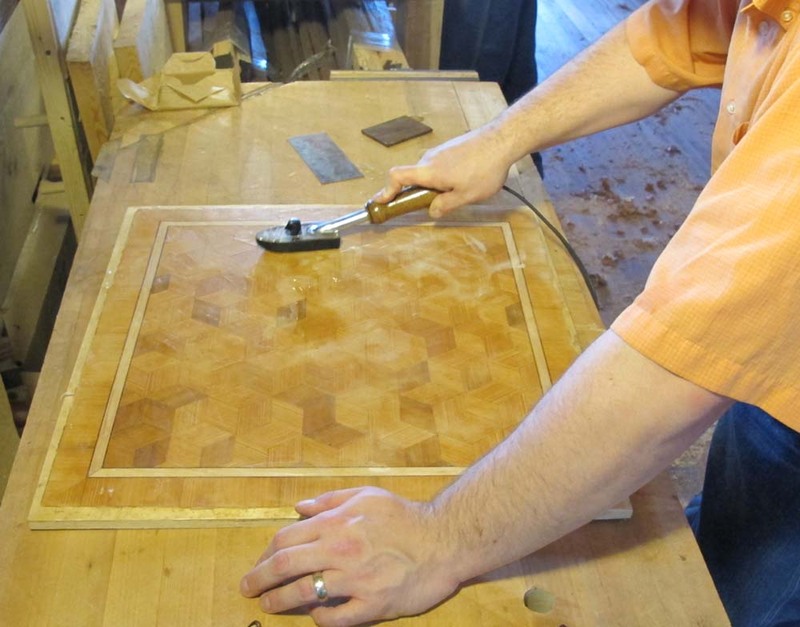 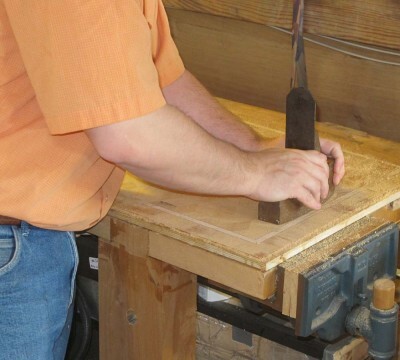 Joe and Joshua now possess another important tool for their design and fabrication toolkit for the future, and when they get home they both plan to trim their panels and build a small table around them.